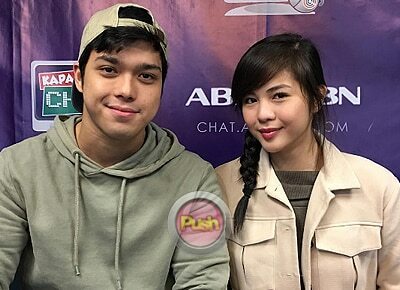 A day after his now ex-girlfriend Janine Gutierrez went public with their breakup, Elmo Magalona hogged headlines anew by asking his onscreen love team partner Janella Salvador to the 10th Star Magic Ball. The new recording star took to his Instagram account to share how he asked her with the help of pizza. While he did not mention a particular person on the said post, fans of the ElNella tandem presumed that it was Janella after seeing her Twitter post later. Fans were quick to add that they know someone who loves pizza and cheese and started reposting her previous Instagram photos. Elmo’s sweet gesture happened around the same time when Kim Chiu posted her rumored boyfriend Xian Lim’s gesture to invite her to the prestigious ball.